Earn up to US$0.36 with Kinguin Mafia! Learn more! Requires the base game Dead By Dalight on Steam in order to play. Darkness Among Us is a brand-new Chapter for Dead by Daylight, which includes a new Killer, a Survivor and a Map. Purchasing the Darkness Among Us DLC will unlock its new Killer, new Survivor, and an exclusive item for the new survivor. The everyday contains many hazards. But the comforts of routine shroud the unfathomable risks of a threat so intimate, so familiar, that it can only be seen in hindsight. A disturbing, violent force could be raging within the people closest to you. Darkness is among us, every day. The raw cravings and impulses of adolescence are powerful. The desire to belong can be just as unbelievably strong. When three teens get involved with an impulsive mastermind, they discover an addictive kind of freedom. Together, they spiral out of control and become the wrong kind of crowd, The Legion, leaving no rule unbroken. Jeff Johansen was invited to take a trip down memory lane when his past caught up with him. He returned to his hometown, ready to face everything he had been forced to leave behind. But the familiar isn’t always safe, and it’s never too late to be in the wrong place at the wrong time. Frank’s future was as bleak as his childhood was miserable. To break free from his boring, aimless life in Ormond, Frank manipulated a group of friends and led them to break every rule. 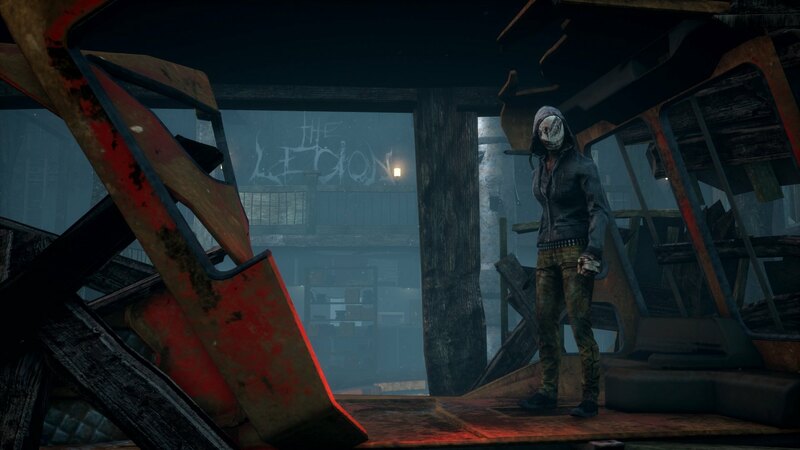 The Legion is a group of agile Killers able to catch Survivors off-guard with their power, Feral Frenzy. Violent impulses are within us and building incrementally, for some, to a tipping point. They were a plain group of friends until they met Frank, who turned them into a Legion. Now they draw power from the thrilling insane freedom of not abiding by any rule but their own. The Legion use their power, Feral Frenzy, to hunt down their victim. When activating Feral Frenzy, The Legion enter a deadly rage allowing them to sprint and vault over pallets at the cost of lowered senses. In Feral Frenzy, hitting a Survivor afflicts them with the Deep Wound status effect which slowly but surely bleeds them dry if they don’t mend. 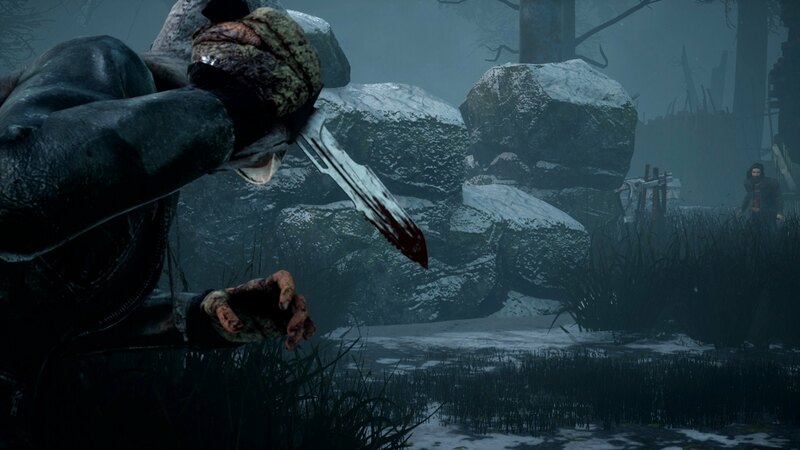 Hitting a Survivor while in Feral Frenzy replenishes The Legion’s entire power gauge, and triggers Killer Instinct, an ability that helps locate other Survivors nearby. Discordance - Any time 2 Survivors or more are working on the same Generator, the Generator's aura is highlighted in white for a limited time. 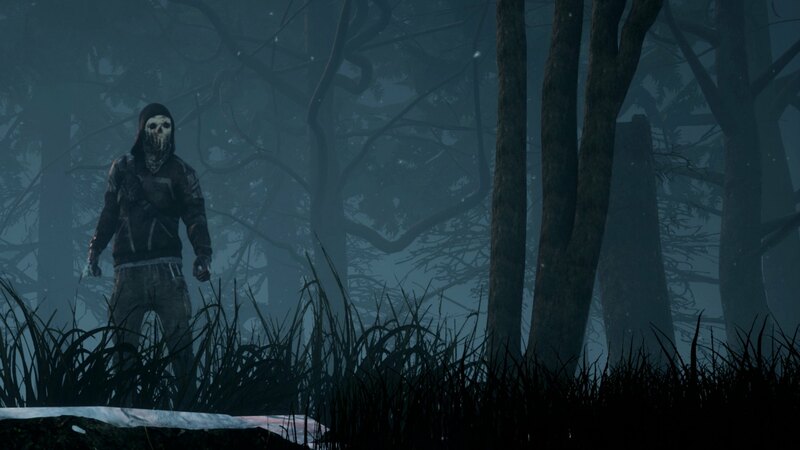 Mad Grit - While carrying a Survivor, you suffer no cooldown for missed attacks and hitting another Survivor pauses the carried Survivor’s wiggle timer. Iron Maiden - You open lockers faster. When a Survivor exits a locker, they emit a loud noise and suffer from the Exposed status effect for a limited time. Born and raised in Ormond, Alberta, Jeff Johansen grew up as a quiet, only child with an aversion for large crowds. During high school, his anxious temper was mislabelled as shyness, which he covered up with a tough, stoic persona that intimidated bullies and teachers alike. At home, he collected heavy metal vinyl albums. The evocative symbolism on the covers inspired him to make art of his own, which helped him cope with his parents’ constant fighting. After his parents’ divorce, he was forced to move with his mother to Winkler, Manitoba, miles away from his hometown—and his dad. In Winkler, Jeff was more isolated than ever, except for art and music. His solace came shortly after graduating high school when he started working at a local bar with live music. He found a roadie gig shortly after and left Winkler for good. After an incident at a concert, he reoriented himself and started designing labels for microbreweries. He led a quiet, simple life brewing beer, designing tattoos, and making art for bands he liked. All until one morning, when he got a phone call from Ormond saying that his father had passed, leaving a few things to sort out. Jeff returned to the home he left behind, but he should have never looked back. 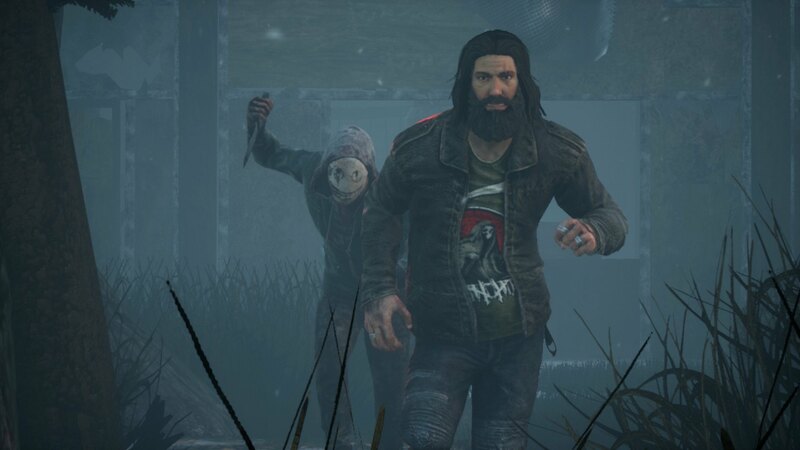 Jeff’s personal perks, Breakdown, Aftercare, and Distortion, allow him to break hooks, cooperate with other Survivors, and conceal his aura from The Killer. 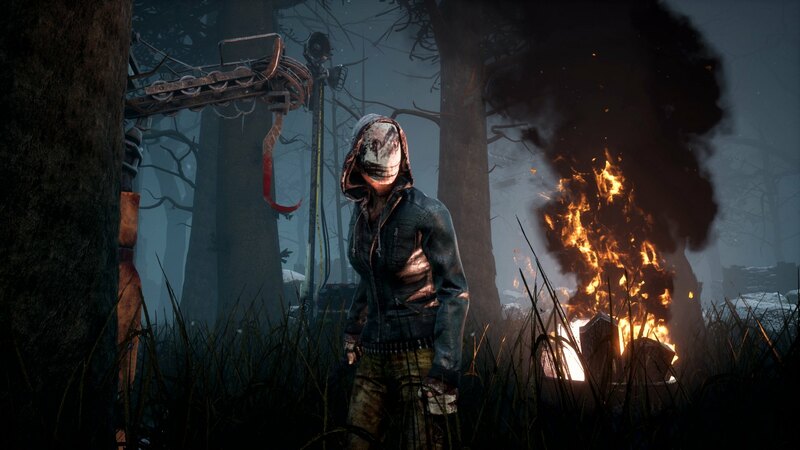 Breakdown - Any time you are removed from a hook (escaped or saved), the hook breaks and the Killer's aura is shown to you for a limited time. 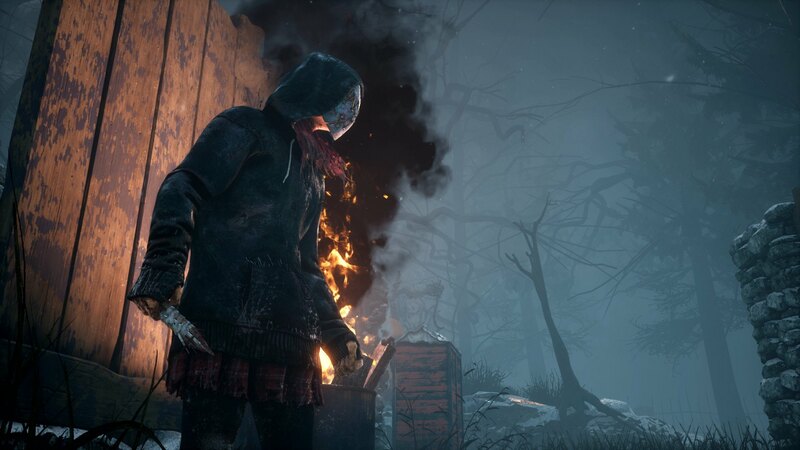 Aftercare - A 2-way link is created between you and the other survivors whether you interact with them while unhooking or after successfully healing each other. You can create a limited amount of links with other Survivors. Existing links will not be replaced until they are removed. 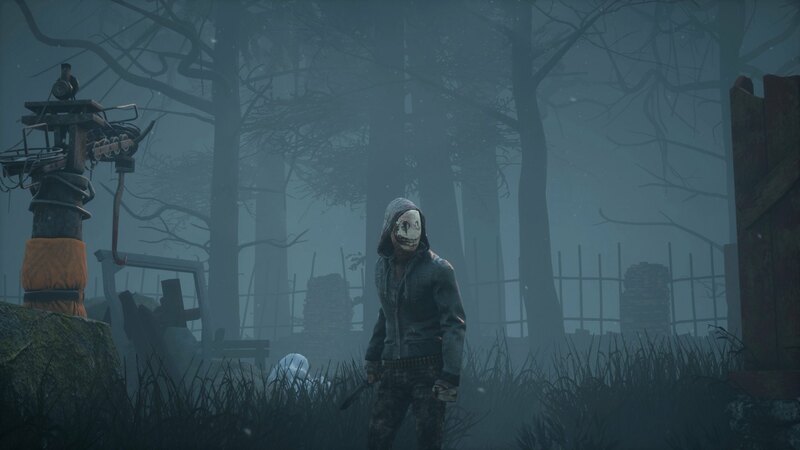 If you are hooked by The Killer, all your existing links with other Survivors are removed. Distortion - You start the Trial with 3 tokens. When your aura would be shown to the killer, the perk activates and a token is consumed. For a limited time, while the perk is activated, your aura will not be shown to the Killer. 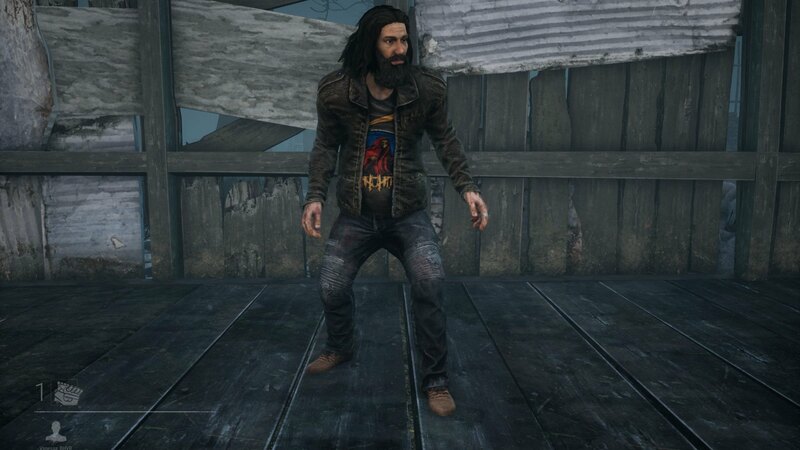 The Darkness Among Us Chapter includes an exclusive item: Jeff’s In the Shadow of Death shirt, only available as part of the DLC. Please note that this item cannot be purchased separately. Welcome to Ormond, Alberta. Population: six thousand ninety-three. Surrounded by an impressive mountain range, Ormond’s ski slopes showed promise for a lucrative coal mining venture. The environmentally controversial nature of the project, however, brought the enterprise to an abrupt stop, which left deep scars on Ormond’s landscape and population. The hollowed summit of Mount Ormond now looms over desolate patches of dead trees, a soulful, deforested graveyard where gangs and teenagers go looking for trouble. Some people say that the mountain hides a darkness, a bottomless hole from where no one can return. The abandoned ski facilities still remind the inhabitants of a past that never was. It is a place of broken promises and devastated nature. The stale air worsens during winter, when the rough winds drape a heavy blanket of isolation over the bleak landscape.